Ritual Killing of the Living Dead - Help a haunted spirit to gain his peace - attend the ritual of killing a vampire in this Dracula tour. Wine Tasting in Tokaj - It was the Tokaj wine that Dracula used to serve his guests with. Also a favourite tipple of the Dumas’s musketeers. The Magic World of Romanian Folklore - A live presentation offered by a famous Romanian ethnographer, your travel to Transylvania will enrich you’re universe with more fantastic creatures than you could ever have imagine. Introducing Unique Characters - Meet the Vampire Wooden Stake Specialist, the famous woodcraftsman Grigore Tulean from Maramures, a VIP of your Dracula tour. Be aware that the ancient ritual of preparing the dead with a stake or needle through the heart is still practiced in some remote regions. 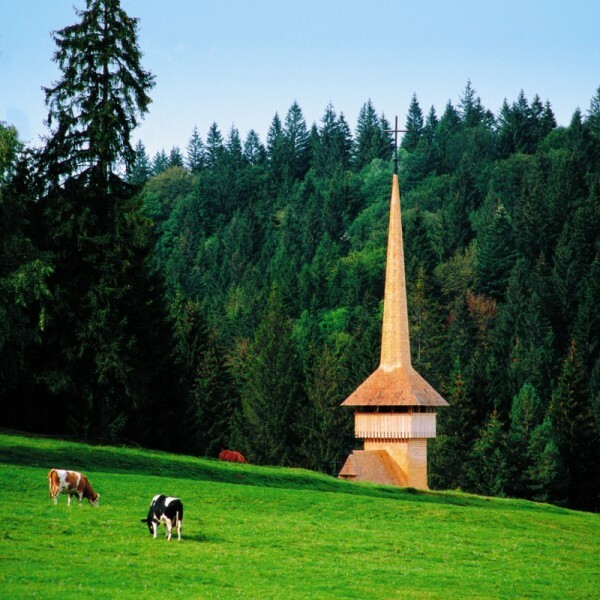 Discover Dracula's descendents - pay a visit to Misiuga, Baron of Dracula in his windswept tower of Bistrita citadel. Vampire Treats: Enjoy Jonathan Harker’s Menu - The same meal Bram Stoker’s hero ate when in Bistrita citadel, and indulge yourself further with a Vampire menu with a dinner in Turda to find out why it’s worth killing for a meal! Dracula’s Castle in Transylvania - Bram Stoker’s imaginary castle where, in Borgo Pass, he placed the Bloody Count Dracula; accommodation, candle lit dinner and a camp fire with all the right stories. Halloween Party in Sighisoara Citadel - Dracula’s birth place; lunch in the house where Vlad the Impaler was born and enjoy the best Halloween party ever. Bran Castle, Peles Castle and Corvinesti Castle - Legendary castles in Transylvania with plenty of good stories for a Halloween tour. 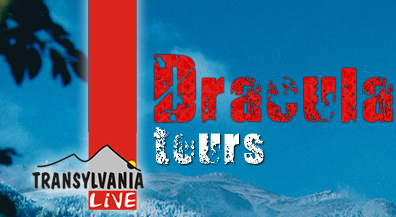 Welcome to your Dracula Tour, a Halloween in Transylvania with Vlad the Impaler! Our English speaking guide picks you up from Budapest Airport and prepares you for your travel to Transylvania. Stop for a glass of excellent wine in Tokaj, Hungary. It was the Tokaj wine that Dracula used to serve hisguests with! For a little Dutch-courage and, for sure, with higher spirits you’ll reach Romania and stop in Satu Mare for accommodation in a 3* hotel. Along with a welcome dinner, you’ll receive your talisman: a cross carved by a famous popular craftsman to keep your body safe and your spirit alive, as well as a survival certificate (which you’ll have stamped as you progress through the itinerary) to recognize your courage! Your first morning in Romania! Drive to Sapanta, close to the Ukrainian border, home of the merriest cemetery in the world! 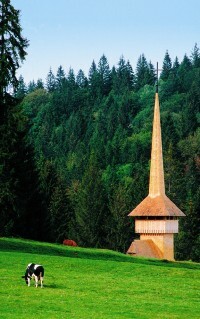 Unique in the world: the Merry Cemetery owes its name to the wood-carved memorial crosses, not only decorated in vivid colors depicting the deceased in a cartoon like manner, the epitaphs candidly recite biographies of the deceased using limerick-style poetry. Next stop is Sighetul Marmatiei where Mihai Dancus, a famous ethnographer, will take you into the magical world of Romanian folklore on your visit to the Village Museum. You’ll spend the evening in a country-inn in Ieud, a welcoming ‘peasant house’ where you can enjoy a Maramuresean home cooked meal. Try on the traditional Maramuresean clothing and enjoy a carriage ride by torch light up to the village church; delight yourself with stories of the haunted houses of that area to better catch the spirit of this Halloween tour! In Sacel you’ll make a truly necessary friend: Grigore Tulean, a famous woodcraftsman. He’ll teach us how to make the perfect wooden stake which, in Turda, will be used in order to kill a vampire! 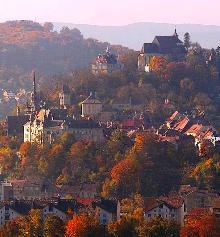 Travel to Bistrita next and step into Jonathan Harker’s shoes. he did before meeting the Bloody Count Dracula of Transylvania. Isn’t this menu great for a Halloween wedding idea? You’ll then find the answer to a question I’m sure is eating you up inside: Does Dracula have descendants? Meet Misiuga, the Baron of Dracula who looks remarkably young for an 84 year old, and be welcomed into his windswept tower; you’ll see an interesting puppet exhibition, receive a garlic wreath and a piece of good advice from the baron himself: to stay away from Dracula’s Castle in Borgo Pass! Of course we won’t listen and we’ll head straight for the castle. It could be a perfect Halloween party idea. 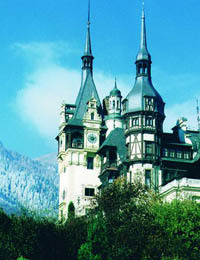 We’ll stay in Dracula’s Castle, a 3* hotel which was built in accordance to Bram Stokers imagination. After visiting Dracula’s coffin we’ll run out the castle, not admitting we’re afraid and saying, “we’re going shopping for souvenirs.” A candle lit dinner at the castle is followed by a fire camp near by with all the right stories for a night to remember. Aren’t you happy to see the light of the day again? Morning ride to Cluj, admire here the impressive Saint Michael’s Cathedral. Optional: How about a genuine Dracula tattoo? It’s hard to believe, but here in the heart of Transylvania you can find the best Turkish kebab, that we strongly recommend for your lunch, in spite of the irony – a Turkish specialty in Vlad Dracul’s country, given the fact that he was the worst enemy the Turks could have had. From Cluj we drive to Turda, the place where you’ll put your existence to the test! 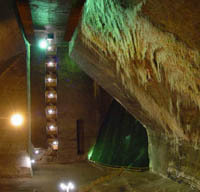 Here you’ll descend into the heart of one of the biggest salt mines in the country – Turda Salt Mines. The Mine ends in a narrow tunnel at the end of which a mirror is placed. Should you see your reflection in the mirror, you will know you still have a soul to worry about! 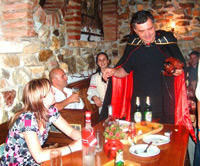 Delight yourself with a vampire menu for dinner, a delicious reason to travel to Transylvania! Still, an evening to fear, you’ll attend the killing of a vampire; you’ll be part of the crowd seeking to take the bloody creature to a special place where the ritual can begin! Module: Enjoy a Magic Show, - performing the talented Transylvanian illusionist - Belloni, Maestro Belloni! 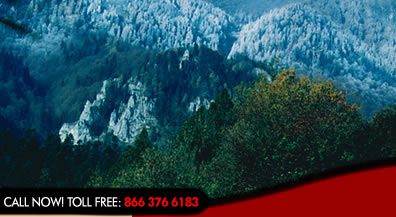 The culminating point of your adventure in Transylvania! In Medias, become acquainted with a unique artist, the only one in the world who uses spider webs for his paintings. As you probably know, spiders are creatures happily tolerated by the count, so you’ll have further proof of how they are not merely reminiscent of delights' past. The next stop of your Romania travel is Biertan, visit the impressive fortified church and shop at Madam Monica Cosma’s for souvenirs which offer a superlative selection of Romanian handicrafts. Drive to Sighisoara, the best preserved and still inhabited medieval citadel in Europe and a UNESCO heritage site, but probably most important for you it is Vlad Dracula's birth place! TIP: For your lunch we recommend ‘Vlad Dracul’s House’, the very place where Dracula was born, turned today into an exquisite restaurant wherein you can find frescoes dating back to the 14th century. It’s time for your Halloween party, put on your costume and get into the mood, this is the reason for your travel to Transylvania. Plenty of opportunities for you tonight: buy After-life Insurance, attend a witch trial, the Count's Fortune-teller will be at your disposal, witness the apparition of Vlad Tepes performed by a witch and listen to your guide’s good advice, and you might just escape without being impaled! The best Halloween party idea, don’t you think? If you survive, you’ll find refuge in a 3* hotel. Getting up in the morning after a party is always a hard thing to do! But the program for your travel in Romania today is worth the effort. November 1st is in fact the Romanian Halloween, so here comes round two! Drive to the medieval Saxon city of Brasov to visit the historic town centre and its famous gothic Black Church, the best-known monument in the city.The edifice holds the largest organ in Europe, which was partially destroyed during the great fire of 1689. 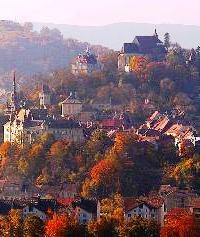 It was here, in the city of Brasov where Vlad led raids against the Saxon merchants. In this context you can only expect a medieval dinner in the heart of the citadel. Afterwards your Romania travel takes you in the vicinity of a cemetery to witness how some Romanians commemorate their lost ones on “Luminatie”. You’ll travel today to Sinaia, the pearl of mountain resorts in Romania; visit Peles Castle, one of the most beautiful royal residences in Europe. The custodians report a strange smell of violets whenever the ghost of the Queen Maria (the niece of Queen Victoria of Great Britain) returns to her beloved play-ground. If you think you can’t see stranger things than what you’ve already seen, you are wrong! 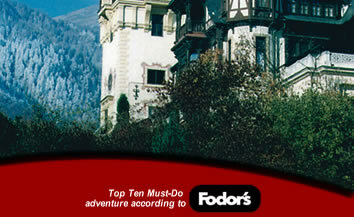 Today you’re introduced to the famous Bran Castle in Transylvania. 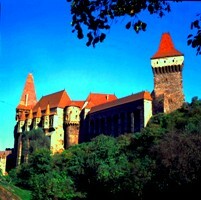 The castle owes its fame to its unique charm, its history and to the myth Bram Stoker created around Dracula. Not far from here is the Horror Castle, a special treat dedicated for the strong-hearted! For a walk on the famous Bridge of Liars you’ll travel to Sibiu, a city with a wonderful medieval charm, excellent views of the surrounding landscape and great food. Accommodate in a 3* hotel. Enjoy a traditional dinner in one of the oldest restaurants in Sibiu. 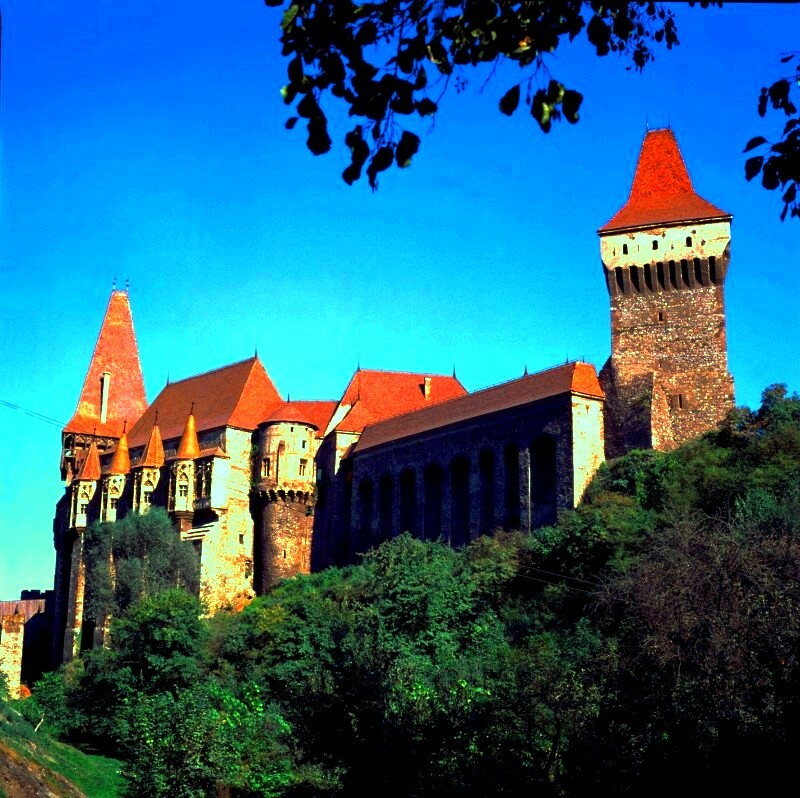 Today you’re invited to pay a visit to another legendary castle in Transylvania, Corvinesti Castle. In the morning visit Sibiu - if you have some courage to spare you’ll cross the Bridge of liars and make a confession. Shall you utter any lie, the bridge will collapse! 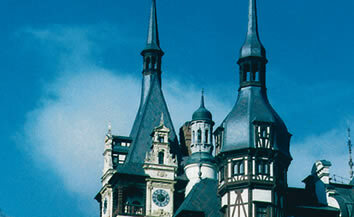 Drive to Hunedoara where the legendary Corvinesti Castle is waiting for your visit. The greatest Gothic style castle in Romania, Corvinesti was built in the 14th Century, and it was here that Vlad the Impaler, Dracula was brought up. TIP: For your lunch we recommend you choose Corviniana restaurant in Hunedoara, with a house specialty: absolutely delicious grilled “Corviniana schnitzel” with cheese sauce. Spend the evening in Arad, accommodation in a 4* hotel. The last day of your Halloween tour. Please allow your self an extra 5 minutes in bed to think about your adventure in Dracula’s kingdom, wasn’t it soul captivating? Travel to Budapest, Hungary’s capital. 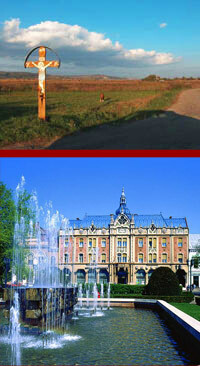 On the way stop to Szeged also called Sun City, enjoy a city tour. For lunch we recommend an excellent restaurant “Halaszcsarda” (Fisherman’s Tavern) for the fine fish specialties you can try here. Accommodate in 3* hotel in Budapest, central located. During your farewell dinner your survivors’ certificate will be handed over, as well as the certificate proving that Transylvania does exist and it’s not quite the Utopia people imagine. It’s time to take your soul back home ... hopefully.